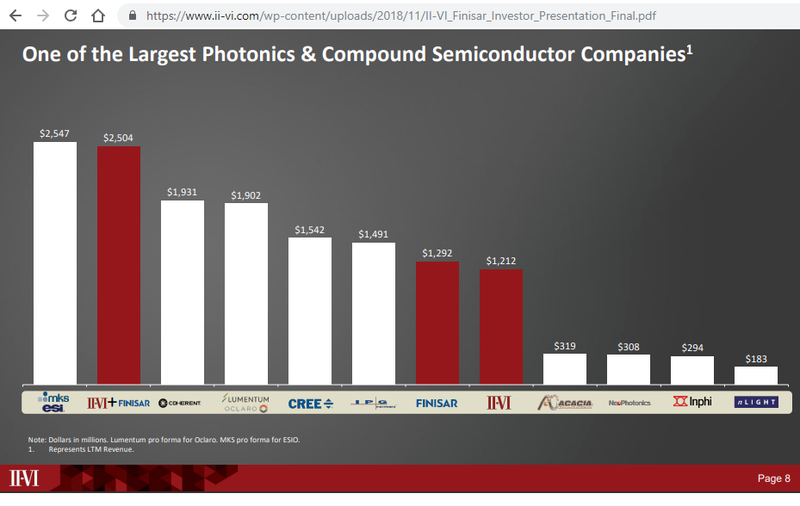 II-VI agreed to acquire Finisar in a cash and stock deal valued at approximately $3.2 billion, creating one of the largest photonics and compound semiconductor companies. The deal, which has been approved by the boards of both companies, brings together two optical networking industry leaders serving the broad set of fast-growing markets of communications, consumer electronics, military, industrial processing lasers, automotive semiconductor equipment and life sciences. The combined company's portfolio will span high-performance datacom transceivers, products based on coherent transmission technology and ROADM solutions for next-generation undersea, long-haul and metro networks, hyperscale datacenters and 5G optical infrastructure. The companies said their combined optoelectronics technology leadership based on GaAs and InP compound semiconductor laser design platforms, together with one of the world’s largest 6-inch vertically integrated epitaxial growth and device fabrication manufacturing platforms, will enable faster time to market for a greater number of opportunities in 3D sensing and LiDAR. 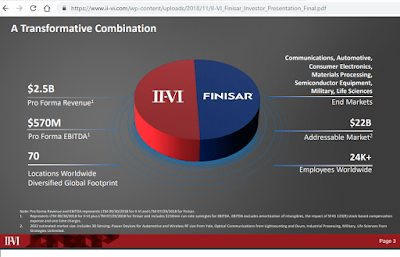 Finisar’s stockholders will receive, on a pro-rated basis, $15.60 per share in cash and 0.2218x shares of II-VI common stock, valued at $10.40 per share based on the closing price of II-VI’s common stock of $46.88 on November 8, 2018. 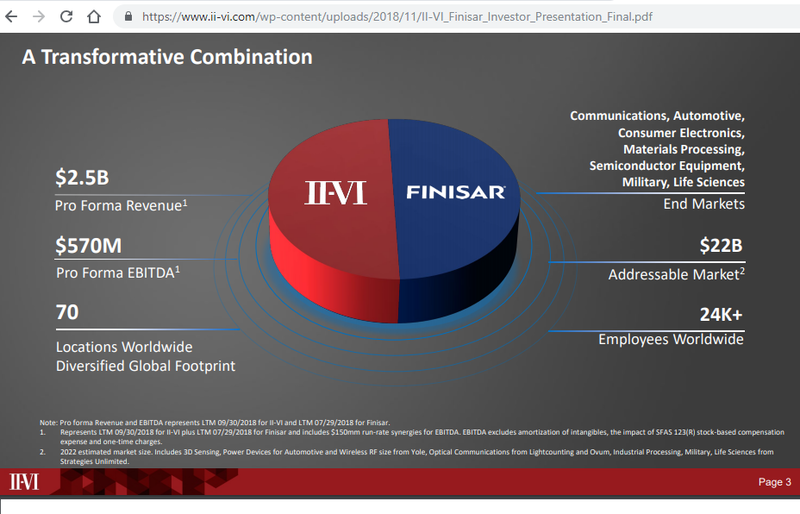 The transaction values Finisar at $26.00 per share, or approximately $3.2 billion in equity value and represents a premium of 37.7% to Finisar’s closing price on November 8, 2018. Finisar shareholders would own approximately 31% of the combined company. Together, II-VI and Finisar will have 24,000 employees in 70 locations. The combined company had approximately $2.5 billion of annual revenue. The combined company expects to realize $150 million of run-rate cost synergies within 36 months of closing. Synergies are expected to be achieved from procurement savings, internal supply of materials and components, efficient research and development, consolidation of overlapping costs and sales and marketing efficiencies. The transaction is expected to drive accretion in Non-GAAP earnings per share for the first full year post close of approximately 10% and more than double that thereafter. II-VI intends to fund the cash consideration with a combination of cash on hand from the combined companies’ balance sheets and $2 billion in funded debt financing. The transaction is expected to close in the middle of calendar year 2019. Worldwide spending on Telecom Services and Pay TV Services will increase by 0.6% in 2018 (in constant dollar terms) to $1.65 trillion, according to the IDC Worldwide Telecom Services Database, a notable decrease compared to the rate recorded in 2017 (1.2%). IDC says the dip is mostly the consequence of new accounting rules introduced since the start of this year: mobile operators are now obliged to completely exclude their handset sales revenues from service revenues, which has had a negative impact on service revenues although the overall effect is neutral as handset sales would have gone up. "This is, of course, just a momentary effect," said Kresimir Alic, senior program manager, IDC Worldwide Telecom Services Database. "We believe that the growth rate will recover as soon as next year." Over of the 2017-2022 forecast period, the market is expected to remain in a positive mood, growing at a compound annual growth rate (CAGR) of 0.8%. Mobile will remain the largest market segment for telecom revenues and its share is expected to reach 52% of the total market in 2018. Increased mobile data usage and expanding M2M applications is offsetting declines in spending on mobile voice and messaging services. Fixed data services are expected to represent 22% of total spending in 2018 and is set to grow at a 4% CAGR through 2022. Spending on fixed voice services will decline at a -5% CAGR over the forecast period and will represent less than 9% of the total market by 2022. The Americas will remain the largest services market with revenues of $624 billion in 2018. Asia/Pacific will follow in second place with $541 billion in revenues. EMEA is third with revenues $483 billion. "Developed and mature markets will only show marginal gains now, driven by technology migration and bandwidth needs," said Eric Owen, group vice president, EMEA Telecommunications & Networking. "Most operators are now looking to invest in 5G and are struggling with the return on investment given the mature nature of the markets. Success will demand innovative and agile thinking from the operators coupled with some help from regulators in highly competitive markets such as Europe." Amazon Web Services announced the launch of the AWS GovCloud (US-East) Region, its second GovCloud infrastructure region in the United States. The AWS GovCloud is an isolated infrastructure region designed to meet the stringent requirements of the public sector and highly regulated industries, including being operated on US soil by US citizens, and are accessible only to vetted US entities and root account holders who must confirm they are US persons. The first AWS GovCloud (US-West) Region opened in 2011. Like AWS GovCloud (US-West), AWS GovCloud (US-East) offers three Availability Zones. AWS Regions are comprised of multiple Availability Zones, which refer to technology infrastructure in separate and distinct geographic locations with enough distance to significantly reduce the risk of a single event impacting business continuity, yet near enough to provide low-latency for high availability applications. Each Availability Zone has independent power, cooling, physical security, and is connected via redundant, ultra-low-latency networks. AWS customers focused on high availability can design their applications to run in multiple Availability Zones to achieve even greater fault tolerance. AWS now provides 57 Availability Zones across 19 geographic regions globally with another 12 Availability Zones and four regions coming online in Bahrain, Hong Kong SAR, South Africa, and Sweden between the end of 2018 and the first half of 2020. Intel confirmed that its upcoming 5G modem chip will ship in the second half of 2019, meaning that 5G phones, PCs and broadband access gateways incorporating the device should hit the market in the first half of 2020. The updated timeline is more than a half-year earlier than previous guidance. The Intel XMM 8160 5G modem will support the new 5G New Radio (NR) standalone (SA) and non-standalone (NSA) modes as well as 4G, 3G and 2G legacy radios in a single chipset. It will support peak speeds up to 6 Gbps, making it three to six times faster than the latest LTE modems available today. Intel said its 5G modem is designed for worldwide carrier support.It will support new millimeter wave (mmWave) spectrum as well as sub 6 GHz 5G NR support (including FDD and TDD bands from 600 MHz to 6 GHz). “Intel’s new XMM 8160 5G modem provides the ideal solution to support large volumes for scaling across multiple device categories to coincide with broad 5G deployments. We are seeing great demand for the advanced feature set of the XMM 8160, such that we made a strategic decision to pull in the launch of this modem by half a year to deliver a leading 5G solution,” stated Dr. Cormac Conroy, Intel corporate vice president and general manager of the Communication and Devices Group. 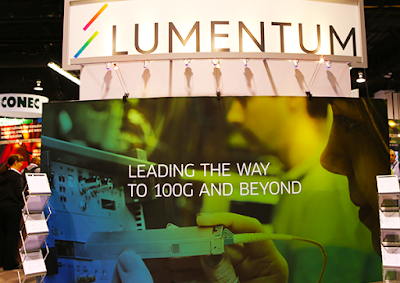 CenturyLink and Infinera are collaborating to deliver multi-terabit capacity for connecting SCinet, the dedicated high-capacity network at the SC18 conference at the Kay Bailey Hutchison Convention Center in Dallas, with wide area networks in several cities, including Chicago, Los Angeles, Miami, Seattle, Sunnyvale and Washington, D.C. The installation demonstrates CenturyLink’s rapid provisioning of 100 gigabit services. 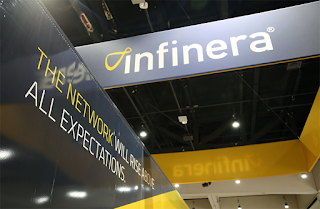 CenturyLink operates a robust, global 450,000-route-mile fiber network and utilizes Infinera’s automated, high-capacity transport solutions in its backbone network. Specifically, this year’s SCinet leverages the CenturyLink core optical transport network and the Infinera XT-3600 platform, powered by the fourth-generation Infinite Capacity Engine (ICE4), to deliver super-channel-based terabit capacity to the conference site. At the Infinera booth during SC18, Infinera and CenturyLink are also using the XT Series platform and Infinera’s Xceed Multi-layer SDN Platform to demonstrate a software-defined networking (SDN) solution featuring real-time telemetry performance monitoring data streaming to automatically detect and dynamically respond to network issues using predefined network policies. “Our collaboration with CenturyLink at SC18 highlights our leadership role in delivering the most advanced optical transport networking solutions capable of pushing the boundaries of innovation in network speed, efficiency and automation,” said Bob Jandro, Senior Vice President, Worldwide Sales at Infinera. 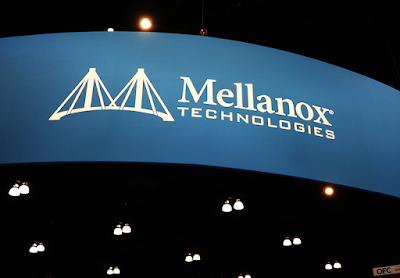 Mellanox Technologies' InfiniBand and Ethernet solutions connect 53% of overall TOP500 platforms or 265 systems, demonstrating 38% growth within 12 months (Nov’17-Nov’18). Furthermore, InfiniBand accelerates the top three supercomputers on the TOP500 list: the fastest High-Performance Computing (HPC) and Artificial Intelligence (AI) supercomputer in the world deployed at the Oak Ridge National Laboratory, the second fastest supercomputer in the US deployed at the Lawrence Livermore National Laboratory, and the fastest supercomputer in China (ranked third). 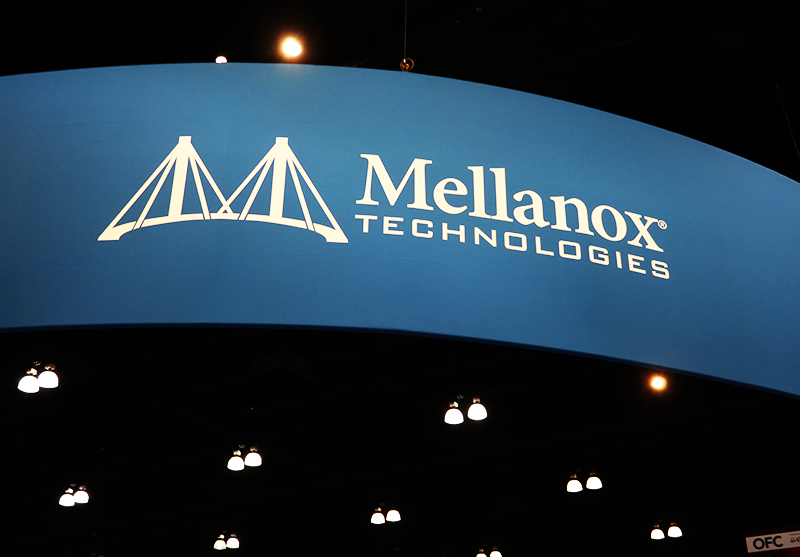 “Mellanox InfiniBand and Ethernet solutions now connect the majority of systems on the TOP500 list, an increase of 38 percent over the last twelve-month period. InfiniBand In-Network Computing acceleration engines provide the highest performance and scalability for HPC and AI applications, and accelerate the top three supercomputers in the world. InfiniBand enables record performance in HPC and AI, enabling the advancement of academic and scientific research which is reshaping our world. We continue to win new opportunities and are proud to have deployed the first HDR InfiniBand supercomputer at the University of Michigan. We expect to see more HDR InfiniBand connected platforms this year,” said Eyal Waldman, president and CEO of Mellanox Technologies. The TOP500 List has evolved in the recent years to include more hyperscale, cloud, and enterprise platforms, in addition to the high-performance computing and machine learning systems. Nearly half of the systems on the November 2018 list can be categorized as non-HPC application platforms, with a vast part of these systems representing US, Chinese and other hyperscale infrastructures, and are interconnected with Ethernet. Mellanox Ethernet solutions connect 130 systems or 51% of the Ethernet systems on the list. 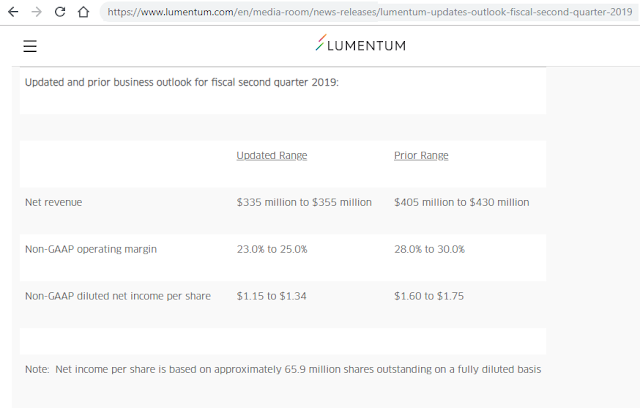 Lumentum trimmed its guidance for its fiscal second quarter 2019 after a large customer cut its order for laser diodes for 3D sensing. "We recently received a request from one of our largest Industrial and Consumer customers for laser diodes for 3D sensing to materially reduce shipments to them during our fiscal second quarter for previously placed orders that were originally scheduled for delivery during the quarter," said Alan Lowe, President and CEO. "With our proven ability to deliver high volumes, years of experience, hundreds of millions of devices in the field, and new product and customer funnel, we remain confident in our leadership position in the nascent market for laser diodes for 3D sensing." Revised Net revenue, non-GAAP operating margin, and non-GAAP diluted earnings per share expectations along with the prior guidance range provided in the Company's fiscal first quarter earnings release and earnings conference call on November 1, 2018 are provided in the table below. The GSMA elected Stéphane Richard to serve as Chairman of its Board for the two-year period from January 2019 through December 2020. As GSMA Chair, Richard will oversee the strategic direction of the organisation, which represents more than 750 of the world’s mobile operators, as well as over 350 companies in the broader mobile ecosystem. 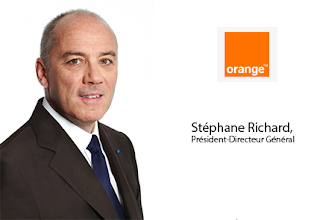 Richard is Chairman and Chief Executive Officer of Orange Group. He replaces Sunil Bharti Mittal, Founder and Chairman of Bharti Enterprises and current GSMA Chair, who will step down from the Board at the end of 2018. The GSMA Board has also elected Chua Sock Koong, Group Chief Executive Officer of Singtel Group, as Deputy Chair. EE, the UK’s number one mobile network and part of BT Group, activated nine 5G trial sites are now live across East London. The company also has a live 5G trial site in Canary Wharf, and new device functionality is being tested in its state-of-the-art Borehamwood test lab. EE said its preliminary 5G work has so far encompassed every element of building a new 5G network, from obtaining planning permission and access agreements, through to managing power outputs. The trial will go on to assess the customer experience of new 5G spectrum. Keysight Technologies announced the validation of an Over-the-Air (OTA) test method for evaluating the radio frequency (RF) performance of 5G base stations in collaboration with the China Academy of Information and Communications Technology (CAICT) and Tsinghua University. The collaboration between Keysight, CAICT and Tsinghua University was established to accelerate the development and deployment of 5G networks in support of the Phase I Step 3 5G trials led by China’s IMT-2020 Promotion Group1. The test combined Keysight’s 5G signal generation and analysis solutions with a compact antenna test range (CATR) chamber to create the appropriate OTA test environment for 5G base station performance evaluation. Keysight seamlessly integrates measurement science with hardware and software tools that support the latest 3GPP release 15 (Rel-15) standard to provide the entire mobile wireless ecosystem with end-to-end OTA test capability. Its integrated OTA test solutions for R&D characterization and RF test of 5G base stations enable users to test a wide range of equipment and its sub-systems in a repeatable way. Cable One agreed to acquire Clearwave Communications, a facilities-based service provider that owns and operates a high-capacity fiber network offering dense regional coverage in southern Illinois, in an all-cash transaction. Financial terms were not disclosed. Clearwave has more than 2,400 route miles of dense metro fiber infrastructure connecting approximately 2,700 on-net businesses, towers and data centers. Clearwave is headquartered in Harrisburg, Illinois, and is majority-owned by funds affiliated with Stephens Capital Partners LLC if Little Rock, Arkansas. Cable ONE (NYSE: CABO) is among the 10 largest cable companies in the United States and a leading broadband communications provider with operations in 21 states.